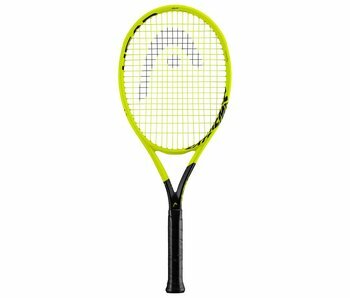 The Graphene 360 Extreme Pro is an intermediate/advanced level, ultra-spin-friendly tennis racquet with a budget friendly price tag. It features a dynamic new frame for optimal stability and playability. Head has added new Spin Grommets to the central 6 main strings. These grommets enable greater freedom of movement for those strings, ensuring maximum spin in the sweet spot. The innovative Graphene 360 dampening technology adds greater solidity and playability. This affordable group of tennis racquets are great for varying skill levels. With it's bold colors and excellent spin-potential, these racquets have something for everyone.